Good morning and happy Friday! We celebrated our 9th wedding anniversary (whoa!) this week, and in a few weeks Lucia will be 5 (whoa again!). How fast time flies. A good reminder: the best thing you can do is to spend quality time with the ones you love. Which, by the way, is our plan for the weekend. All weekend long. Hope you have a wonderful one and thanks for stopping by! PS: Anniversary Sale is open to the public today! From the orders I’ve placed, my absolute favorites: this coat, this polka dot dress (which I’ll be wearing this weekend and is under $100! ), and this cozy cardigan (under $50). 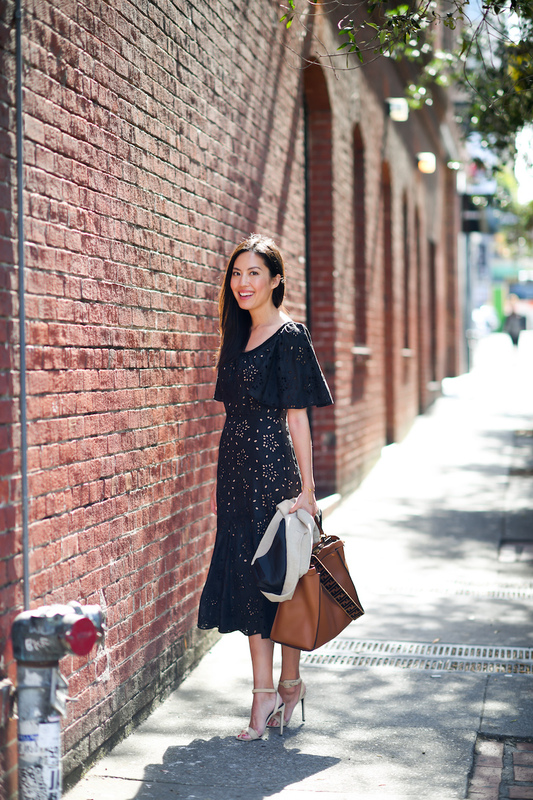 Your eyelet dress is perfect! Always a gorgeous look! ???? Such a gorgeous eyelet dress!